Q. What body areas can I get treated with IPL? A. IPL Hair Reduction can be used on any area. The underarms, legs, back, bikini-line, face, neck, etc. can all be treated… Fast! Q. What are the hair reduction sessions like? A. Hair reduction is quick and easy! After your initial preparation your treatment provider will move a wand-like hand piece over your skin. The IPL hand piece emits the light that disables the hair follicles. Most people perceive the light as a gentle “snapping” sensation. The feeling of pain during hair reduction is extremely variable from one person to another. Hair reduction depends on the concentration of melanin in the skin, the hair size, the hair density, etc. Q. What should most people expect after hair reduction treatment? A. Most people experience some mild redness and tenderness in the treated area shortly after the hair reduction. This does not interfere with normal activities and usually subsides within a day. In some cases, the redness after IPL may last longer but will still be mild and temporary. Your treatment provider will explain other less likely side effects. After a IPL Hair Reduction session, hair is detached from the follicle, but it still remains in its sheath. During the renewal of the epidermis (peeling), exfoliation is necessary, as it will speed up the falling out of the hair. Q. What is the difference between Lasers and Pulsed Light? A. Pulsed Light and Laser are very similar and remove hair in basically the same way. However, Pulsed Light uses technology that is several times faster than laser, making Pulsed Light suitable for even the busiest person’s schedule. Q. Does IPL give permanent results? A. Intense Pulsed Light systems work by emitting pulses of intense light via a glass prism to the hairy area. Hair containing pigment (melanin) absorbs the light and converts it to heat. This heat destroys the hair follicle. Most hair will not grow back at all, while other hair may grow back thinner and lighter in colour. The darker the hair, the richer in melanin and the better the hair removal results. Q. 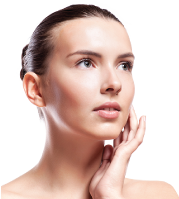 What Can IPL Skin Rejuvenation Be Used For? IPL skin rejuvenation treatment is for uneven pigmentation, age spots (sun induced damage), brown pigments or spots and spider veins (broken capillaries) of the face, and rosacea. Adding to IPL’s versatility, it can also be used to improve coarse rough skin with enlarged pores and reduce the signs of ageing and sun damage, including fine line wrinkles and freckles. IPL skin rejuvenation works by breaking up the pigment in lesions, while causing little to no discomfort. There is only a temporary reddening that can last for a few hours. Pigment lesions will darken slightly after treatment and then fade/flake away after about 10 – 14 days. Visible veins generally undergo immediate greying or blanching and then fade after about 10 – 14 days of the IPL treatment. Q. Is IPL Hair Removal actually permanent? IPL Hair Removal is permanent hair reduction, it is attracted to the colour of the hair so is a better result the darker the hair. IPL can be permanent on the right type of hair. Treating dark hair on fair skin on legs will ultimately kill the hair after a series of correctly timed IPL treatments. Legs, bikini and underarms are terminal hair and can be killed off, given the right type of hair and skin colour. The result and % of hair killed off is directly reletive to the hair and skin colour. There are other factors that will affect the result. Treating hormonal hair on face is not permanent although it will make the hair extremely fluffy and is therefore a great stepping stone to electrolysis which is completely permanent on hormonal hair. Often we might just go straight to electrolysis if the hair is fluffy already, the IPL will not have an effect on the hair. Q. How does IPL Hair Removal work for long-lasting results? IPL Laser Hair Removal works by emitting pulses of intense lamp-light into the hair follicles. The light is absorbed by the pigment in the follicles and converted to heat. The heat then loosens the hair and disables the follicular cells responsible for growing new hair. Most hair destroyed with the IPL Laser Hair Removal will not grow back at all, while other hair may grow back thinner and lighter in colour. Q. How does the process for Red Vein Removal work? Depskin will break down the red veins with the use of IPL Rejuvenation and this can take up to 4 treatments (3-4 weeks apart), with 3 months inbetween while the IPL Rejuvenation works to keep breaking down the blood vessels. Followed by this, a diathermy can follow for minor broken veins (or otherwise known as red vein removal).